While being comfortable in one's own skin (and wardrobe) is numero one, it's safe to say that one thing that no one wants to wear is something that ages them. A youthful appearance is something we all strive for, whether subconsciously or not. One of the most effective ways to achieve that youthful glow is via the colors we chose to wear. Given that there are thousands of Pantone colors at any given time, we turned to an expert in the field to guide us toward the exact colors to wear if you want to look younger. Kate Smith is the president and chief color maven of Sensational Color, which is a resource for information on color trends, meaning, theories, and dos and don'ts. Smith told us, "With each year, hair and skin tone changes subtly, and at some point, those same colors are no longer as flattering as they once were." She added, "To keep your older and wiser self glowing, your colors need to complement how you look right now." She recommended four specific colors that will give your look a lift. Keep scrolling to find out what they are. Pair this top with white jeans for the summer. 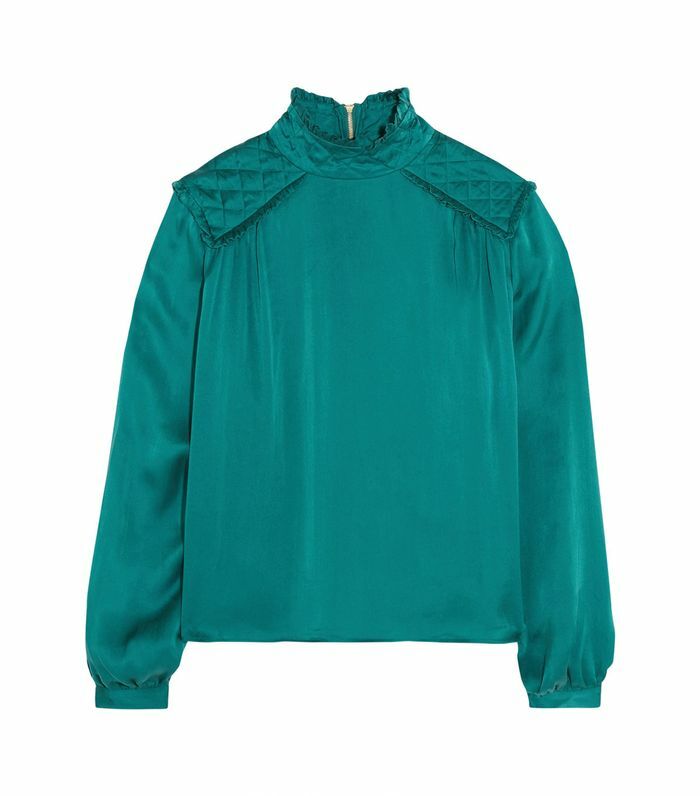 Turquoise plus velvet is a striking combination. Slip this on under a blazer or leather jacket. Pair this with a plain white tee and flat sandals. Available in size P to L.
Want to stand out, stay warm, and look younger? Wear this. We'd gladly live in this come fall. You will get so many compliments on these colorful heels. This is how to dress up denim. Take a break from boring pants. Re/Done Hanes wisely chose to make its perfect tees in this off-black hue. As classic as they come. Swap your jeans for this darker embellished pick. Wear this navy number as a dress or an on-trend duster. Dresses don't get more comfortable than this. You could probably use another bathing suit that isn't black. Try framing your face with this youthful color. This pretty top requires no additional accessories. This stunning dress calls for a very special occasion. Available in sizes UK6 to 16. Next up, the fashion items that can take 10 years off your age.